Visiting with Oscar Mamani Ramos is like meeting with a long-lost uncle. His affable, personal manner makes him easy to talk to and work with. He is a creative entrepreneur who grew up as a quinoa producer in the Nor Lipez region of Southeast Potosi. For years he held the reigns at ANAPQUI, the large quinoa cooperative in which he was a member. 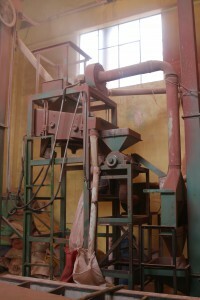 He fought to keep Bolivian quinoa in Bolivia – when agronomists at the University of Colorado tried to patent Bolivian varieties of the seed in 1996. And he fights now to keep quinoa clean, organic and benefitting the producers from his regions. He maintains an organic certification and attends international trade shows including Expo East in the US and Bio Faq in Germany – the two biggest natural foods trade shows. He is a mid-sized exporter having shipped 18 containers of quinoa in 2015 at the height of the quinoa boom and 12 containers in 2017. Ramos’ customers are from Canada, the US and Australia and he works with private label, small orders and specialty goods. 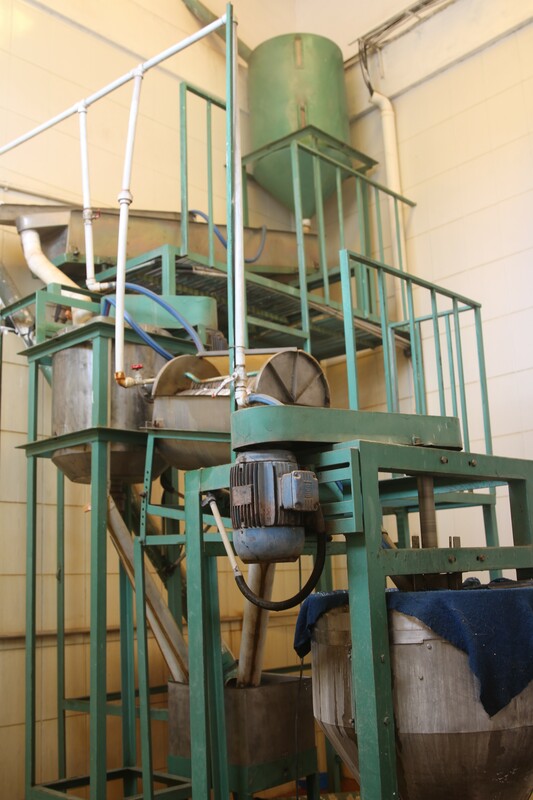 His latest venture has been into Tarija’s pink salts, similar to the popular pink slats from Tibet in the US. I introduced the idea of selling quinoa by varieties. He showed me the varieties he was unloading from a shipment in from Nor Lipez at the moment. The farmers were there to assist with the transportation. 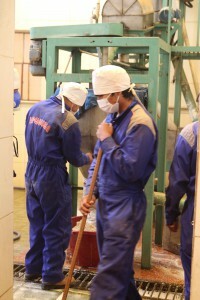 They proudly opened their bags to show the robust seed, talk about the quinoa varieties, and quality of the harvest. I liked that Ramos, like the few other mid-sized quinoa exporters I had met over the years, had strong direct ties to the producers in his home community and kept his production local, right in Uyuni, the land of the quinoa growers. 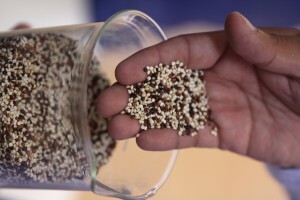 In contrast, large quinoa exporters have usually located hundreds of miles away in La Paz and do not have a strong direct contact with the quinoa producers and often do not share a family connection either. 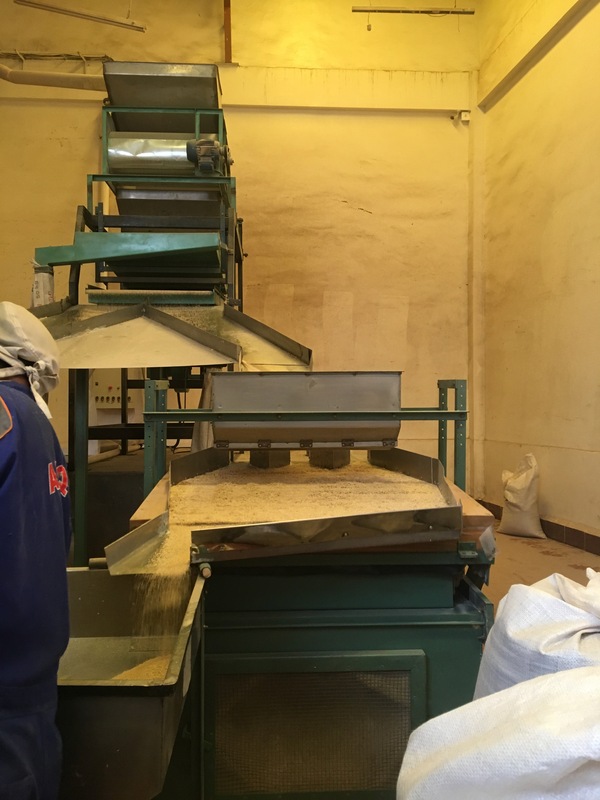 Ramos showed us his quinoa cleaning facility – complete with optical and magnetic sorters, a two-stage saponin removal system – both dry and wet, professional drying equipment – to keep quinoa at its required 10% humidity, and its well-managed storerooms. 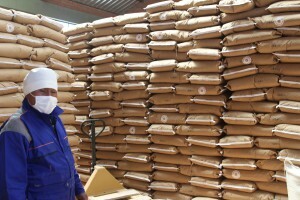 A shipment of quinoa was being readied for Australia. I stepped out of my role as an economic researcher, as that this project was now nearing its end and I saw opportunities to do more with the information I have learned. I told Ramos of my idea to offer quinoa by varieties in the US but by starting small first, with a few sacks of cleaned, sorted product to get started with instead of a container. 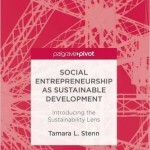 It would be a great project for my Entrepreneurship students at Landmark College where I was now assistant faculty. He felt that was a marvelous idea and said he often sent containers with mixed product to the US – for example, the pink salts. Ramos offered to put me in contact with his US clients to see if we could coordinate something. I look forward to following up on this. 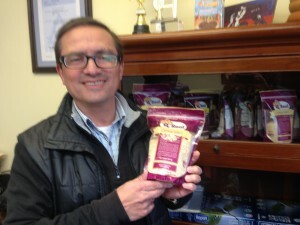 Juan Pablo with his sack of quinoa that was sold at the Brattleboro Food Co-op in the US. Following the value chain, UNFI buys their quinoa from Juan Pablo Selene of Quinoa Foods Company in La Paz, Bolivia. 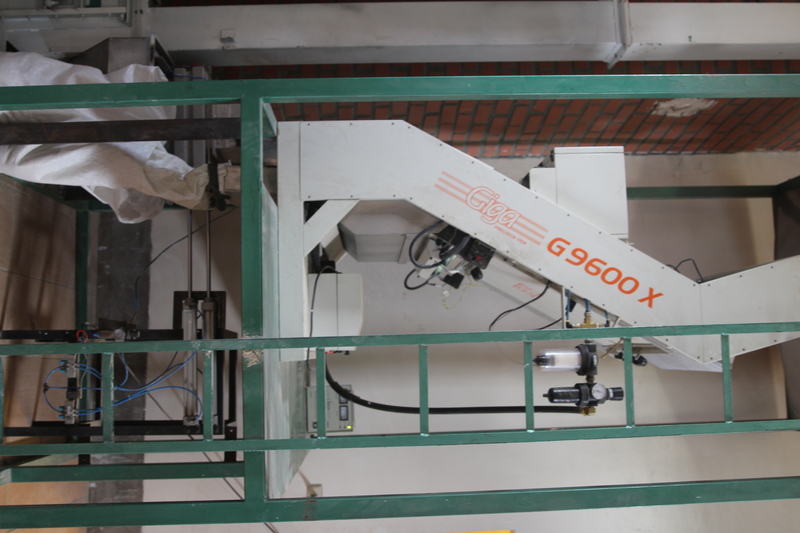 Selene exports 1,000 tons of certified organic quinoa a year, largely to UNFI. 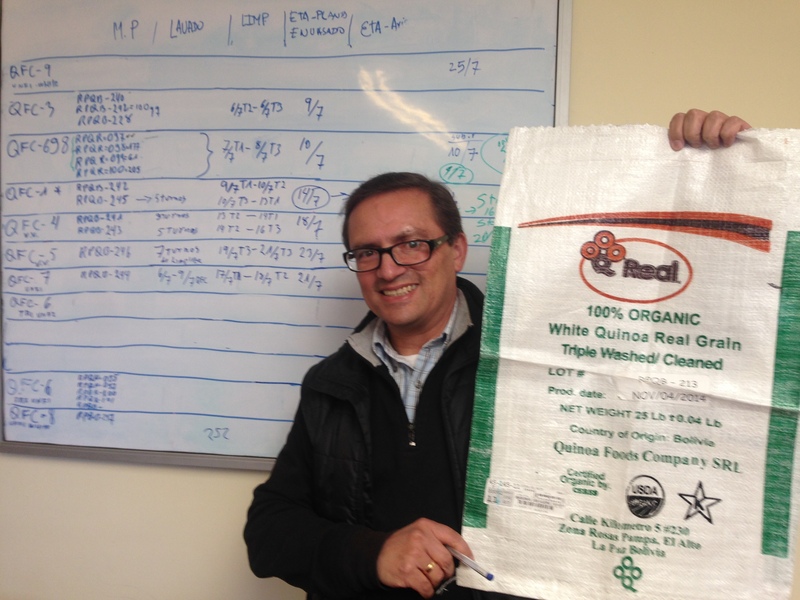 Of that 1,500 tons is purchased directly from the 37 certified organic producers he works with and the other 500 is purchased from other quinoa exporters to fill his orders. CERES, a German organization, oversees the organic certification process which is also recognized by the USDA. The average Bolivian market price for organically certified Bolivian quinoa is $3,500 a ton, putting Selene’s in-country investments at $3.5 million. In 1990, Selene, a chemical engineer, received a Fulbright Scholarship to earn his MBA at the University of New Hampshire (UNH). This is where he discovered the market for quinoa, after studying the work of ANAPQUI, Bolivia’s first quinoa exporter, and deciding it was a good market for him to go into too. 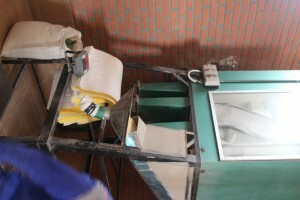 Quinoa goes through three stages of cleaning before it is ready for the export market, first dust and dirt needs to be removed from the seeds, then the outer cover needs to be rubbed off and finally it needs to be washed several times to remove the bitter saponins that cover the seed. Selene’s Masters Thesis was a design for a quinoa washing machine. The business side of things also interested Selene. He and a US colleague won a $3,000 prize in their UNH Entrepreneurship class for their project to import quinoa to the US. They split the prize earnings and with $1,500 in his pocket, Selene returned to Bolivia. Though this was not enough to start Quinoa Foods Co., it was enough to help him begin planning for it. From 1994 until 2002, Selene kept the dream of having his own export quinoa company alive. He designed logos, bags, and a marketing plan. He developed contact with potential US buyers through a long, intense e-mail campaign. 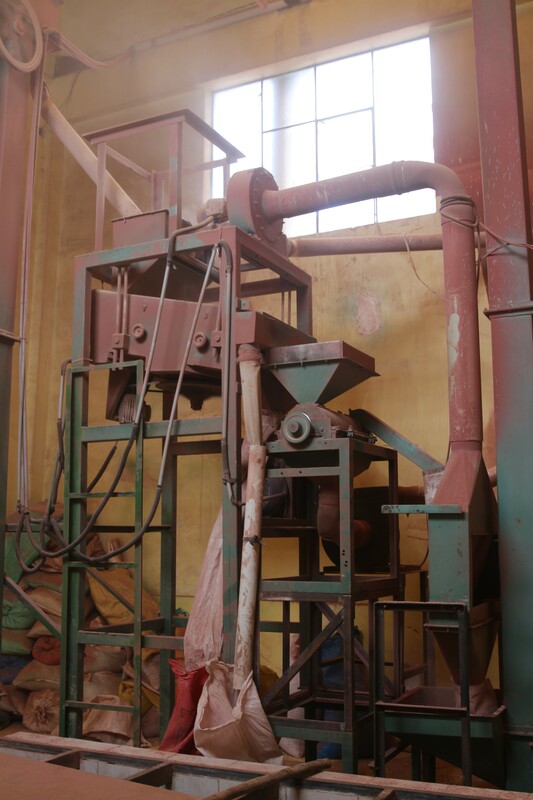 He got to know Bolivian producers, other exporters, engineers and developed the infrastructure needed to export a container of quinoa to the US. Meanwhile he was working as a quality control manager at Coca-Cola. Here Selene learned a lot about human resources, different quality control systems, efficiency and motivation. This helps him today to have a safety certified plant and good relations with his unionized workers. He also worked to export Bolivian made furniture when enabled him to better understand the export process from Bolivia. Juan Pablo stands besides a container of orgnaic quinoa ready for export to the US through Arica, Chile. In 2003 came his big break, UNFI responded to his e-mails and ordered a container of quinoa! 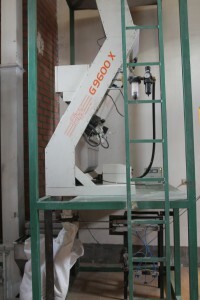 Selena activated the business that he had designed 12 years ago renting space for quinoa to be processed, ordering the bags he designed to be made, contacting his chain of producers with the help of ANAPQUI to deliver the unprocessed quinoa, and hiring 15 women to hand clean the quinoa to export quality standards. However Selene needed $20,000 to export the container. He contacted his friend from ANAPQUI, Wilson Barco, who already was exporting containers of quinoa worldwide and asked for help. Wilson gave Selene the $20,000 credit he needed to ship that first container. However it was delayed in the Arica, Chile port while USDA inspectors mulled over who this new quinoa exporter was. Meanwhile UNFI ordered another container of quinoa. 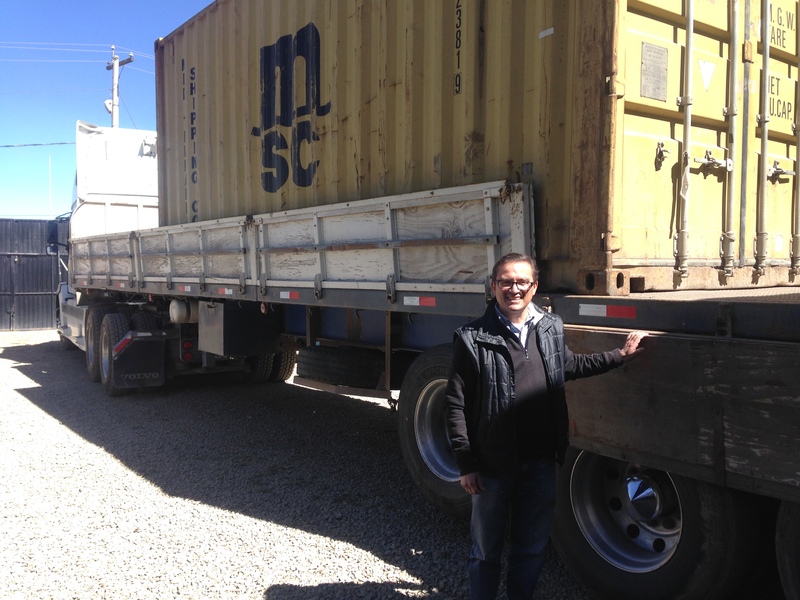 Since the first container had not been delivered yet, Selene had no funds to pay for this next container. Again he went to his friend Barco and again his friend responded with the credit needed to export another container. This one made it through Arica but was then stuck in he port of Boston while the USDA inspectors once again mulled over who this new quinoa exporter was. Not to be deterred, UNFI ordered still another container of quinoa! One more time, Selene asked Barco for support. Barco agreed but said this would be the last loan. Now $60,000 in debt, Selene crossed his fingers as he sent out his third container of quinoa to his new client. Fortunately this one arrived successfully. UNFI was very impressed with the quality and flavor of the quinoa that they ordered another container. This one also arrived safely and on time. Within two weeks, the quinoa from Boston was released and four weeks later, the quinoa from Chile also entered the US. And this is how the relationship between UNFI and Quinoa Foods Company was formed and Quinoa Foods Command officially launched. In 2009, Selene bought land in El Alto, Bolivia to build his own quinoa cleaning plant with the quinoa cleaning machinery he had designed so many years ago. With his wife, Carol (who had accompanied him to the US on his Fulbright work) managing the business administration and accounting, Juan Pablo, works on the processing and sales. Together the two make an excellent team. Quinoa Foods Co. with their own packaged retail bags of quinoa they hope to be soon be offereing export markets. Quinoa Foods Co. has grown so much over the last 12 yeas that they needed to rent a separate space for consolidating and shipping their cleaned quinoa. Selene is in the process of building a new, larger, single plant where the washing and export processing all happens at one site. He will have a visitor center there too and hopes to open this in a year. 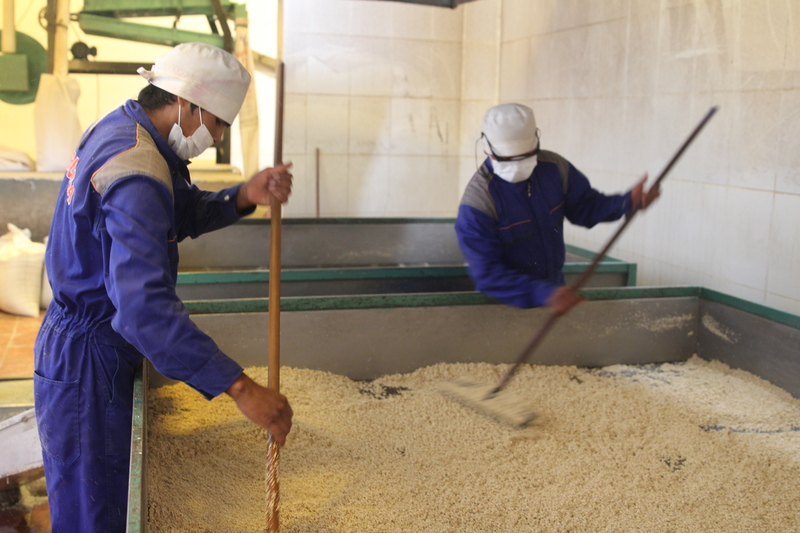 He sees the future for his quinoa exports as being favorable even with the fall in market prices, producers not wanting to sell their quinoa at low prices, and entrance of new competition. He feels the market price drop was inevitable. 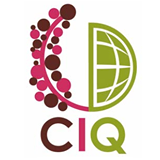 Selene is an active member of Bolivia’s Chamber of Quinoa Exporters which with the help of the International Development Bank, is working with the Bolivian government to trademark the name “Quinoa Real” a reference to the Quinoa Real variety produced in Bolivia. The origin is important to, so with this recognition, only Bolivian quinoa can be known as “Quinoa Real” no other country except Bolivia can have this distinction. By promoting the uniqueness and authenticity of Bolivia’s Quinoa Real (the most common white quinoa on the market), quinoa exporters hope to secure a strong and lasting place in the world quinoa market.